Guy Jumps from Plane at 25,000 Feet Without A Parachute! You read that right. Here’s the backstory, and the video. Luke Aikins, a member of the Red Bull extreme aviation squad, jumped out of a plane 25,000 feet in the air without a parachute. And yes, that’s what they’re calling this an airplane, which is a daring experiment. Twin announcements on infrastructure and airspace might signal a change in direction for the world’s most populous country. The airport was without power for long enough to create chaos. The downtown D.C. airport was without power for long enough to create chaos. New and cool gear pilots will love! The Cessna CitationJet that was flown into an occupied house was piloted by man who’d been arrested for domestic viollence. The storied engine maker is staying put in Mobile and building for the future. Aircrafts need ADS-B receivers by Jan.1 2020. Here are four to consider. EAA AirVenture Oshkosh 2018: You Won’t Believe How Cool This Time-Lapse Video of Building a Plane In A Week Is! Volunteers at EAA AirVenture Oshkosh 2018 built a Van's RV-12, and have a video to prove it! 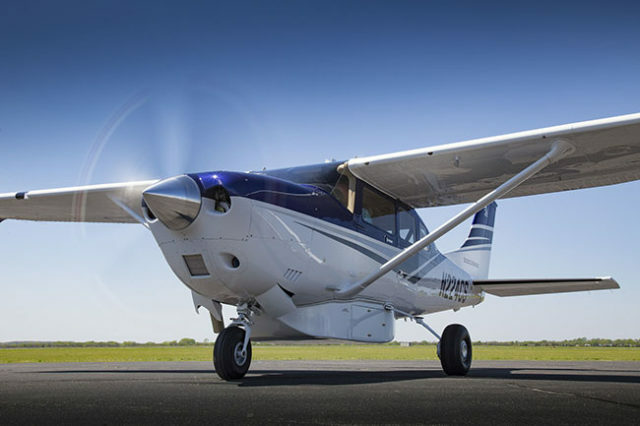 Second quarter numbers look great for light aviation, not so much for other sectors. The app, which runs on phones or tablets, on iOS or Android, will amaze you with its features, flyability and stunning realism. The EAA sponsored center is focused on finding new ways to help pilots stay on top of their game. The biggest airshow in the world flirts with perfection.